I love tea as much as I love coffee! But I always consume coffee at home especially at work because it's free! When I was in Malaysia for 5 months, I enjoyed their Teh Tarik and that's when I started to love teas. And milk tea is one of my favorites. 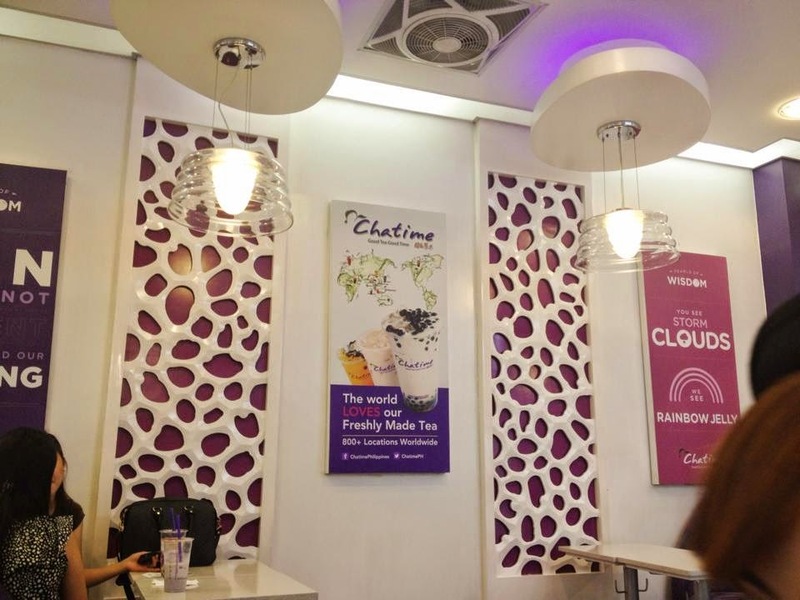 Milk Tea outlets have been sprouting everywhere here in the Philippines. There are a lot of varieties to choose from. 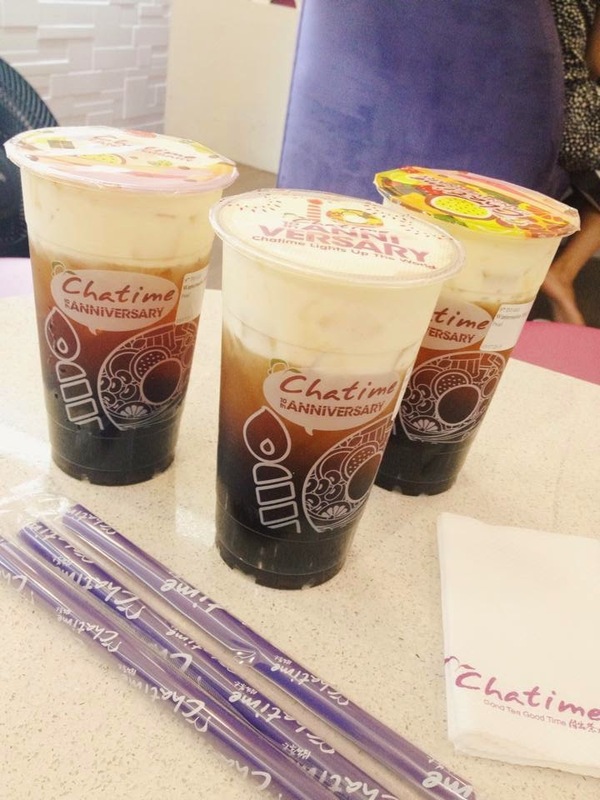 One of these is Chatime. 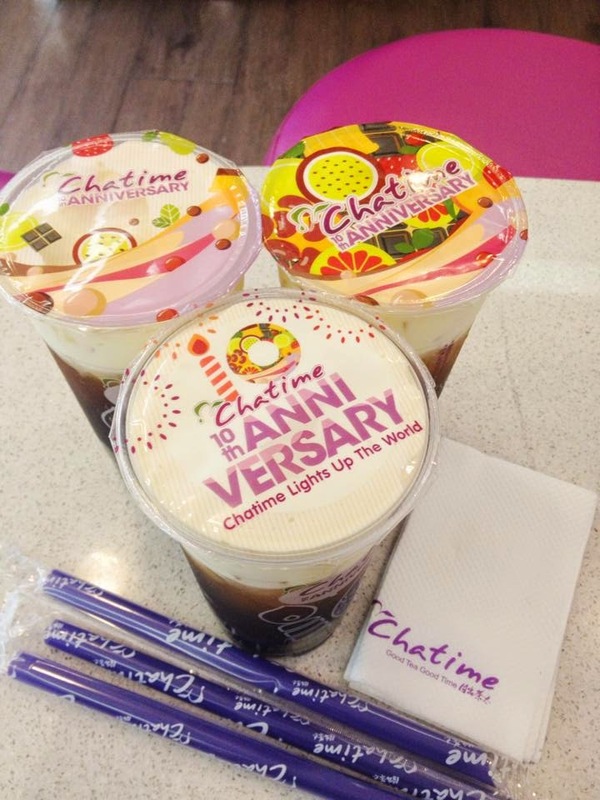 Chatime originated from Taiwan. 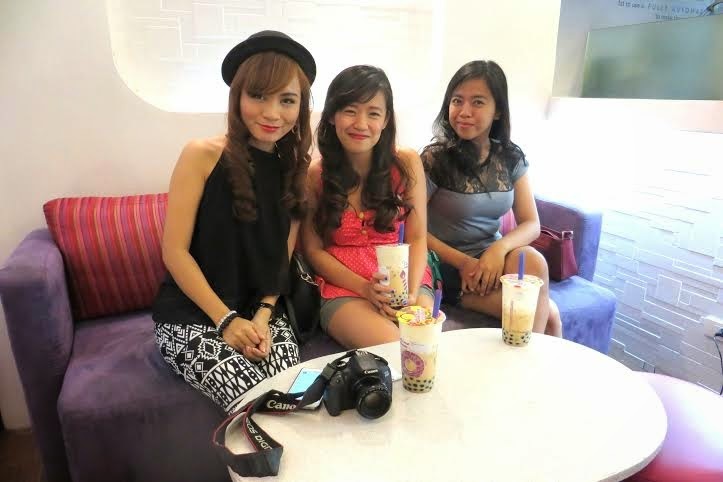 When we had a Meet & Greet with Kristine at the Trinoma Mall, she wanted to eat at Chatime to try their Pepper Salt Chicken Shots. I'd never heard that they also offer this and rice. But the one in Trinoma branch doesn't offer it. 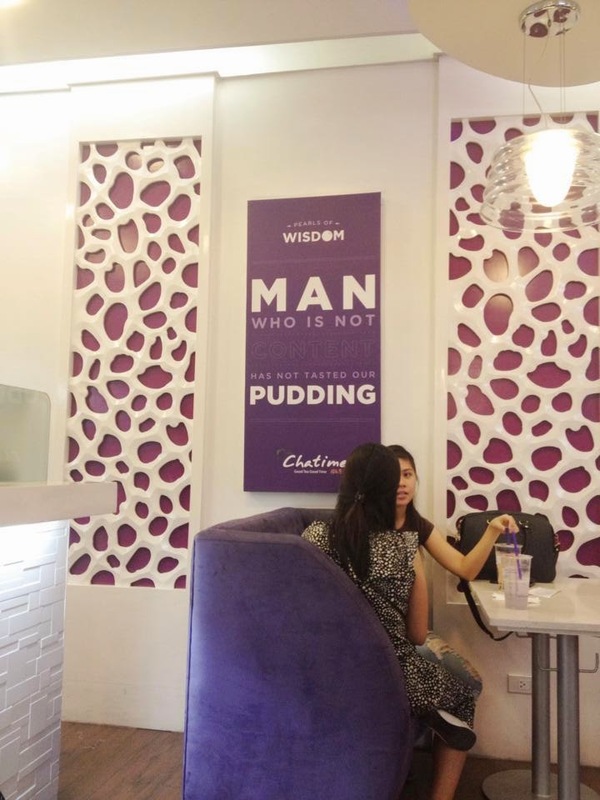 I love their interiors with pictures on the wall of some quotes. And the purple chairs added to the vibe. 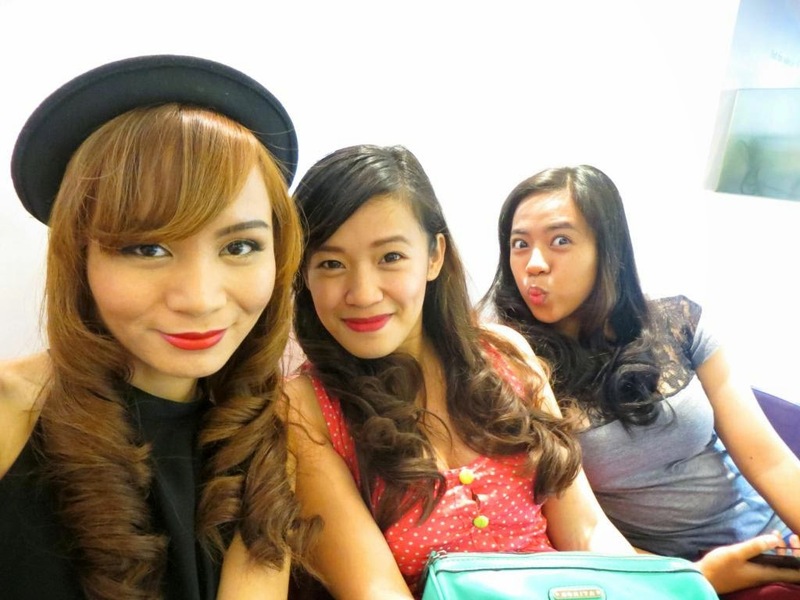 We can't resist having our pictures taken at their cute sofa.